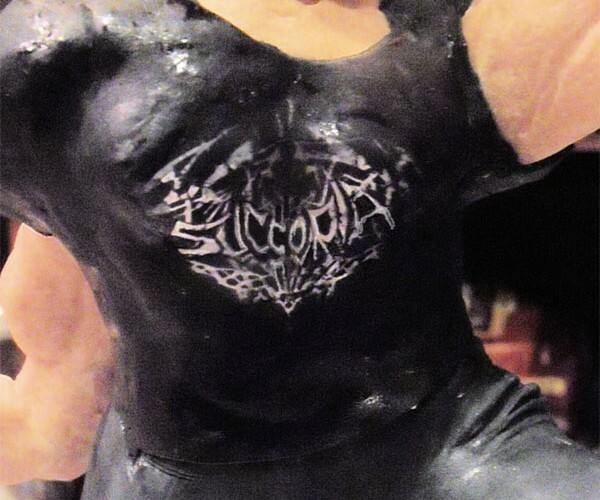 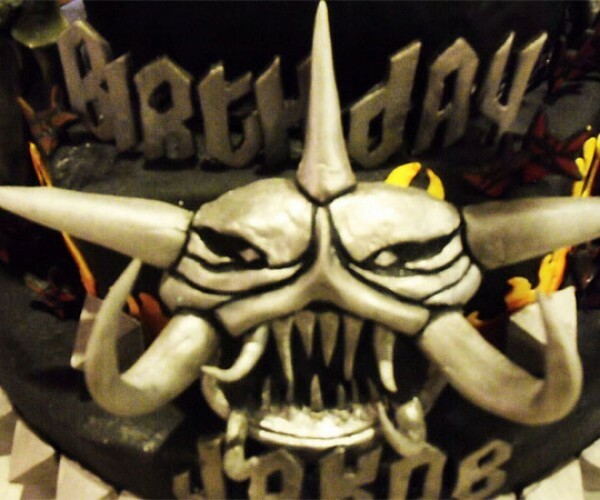 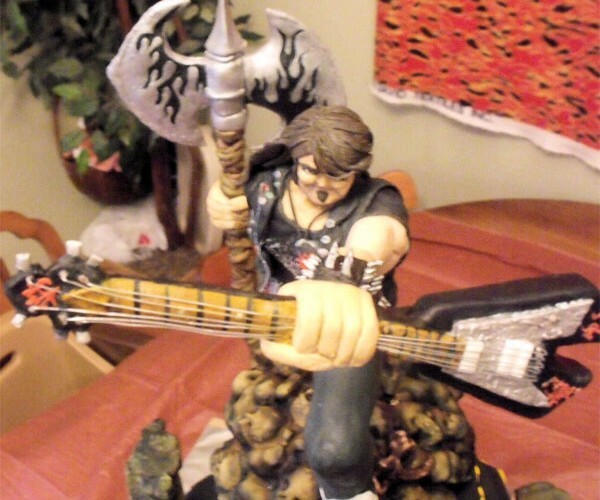 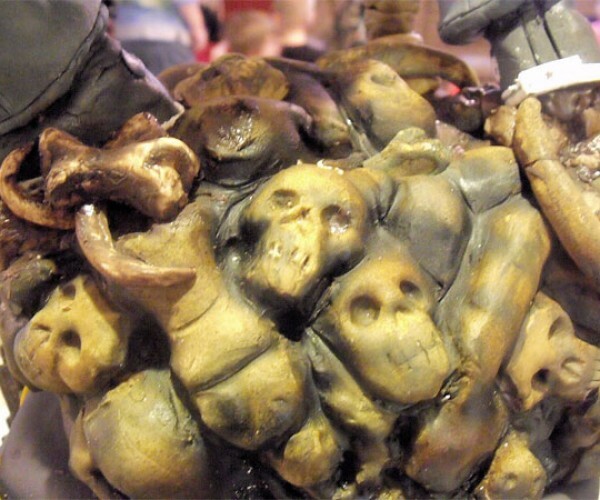 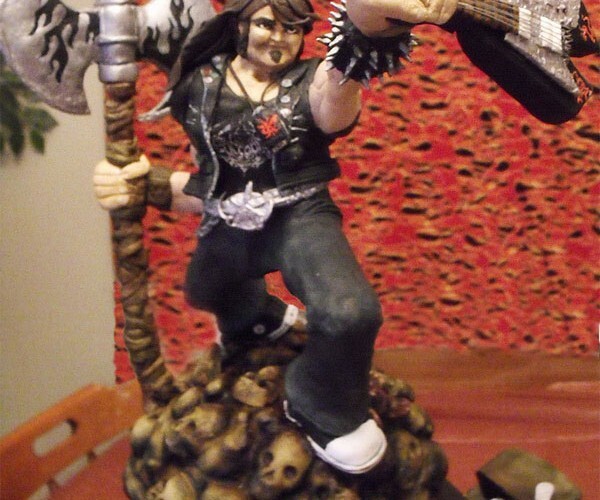 This isn’t the first Brutal Legend cake we’ve featured, but it certainly puts the first one to shame. 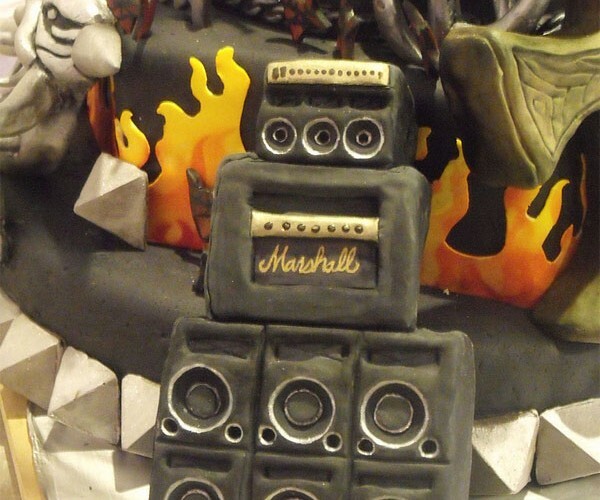 Gotta love that tiny little Marshall stack! 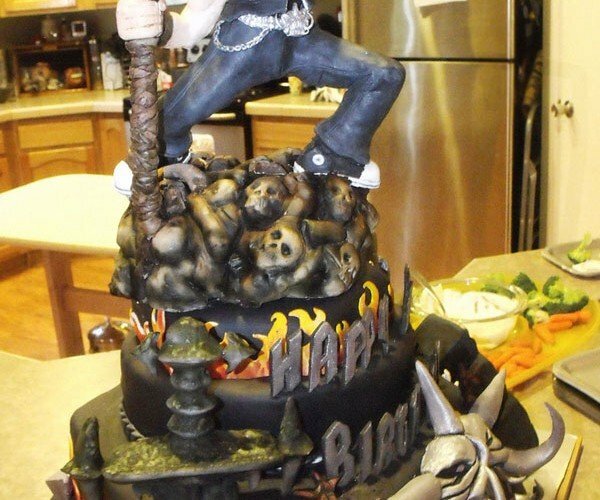 Incredibly, the 32″ tall, 70 pound cake is almost entirely edible. 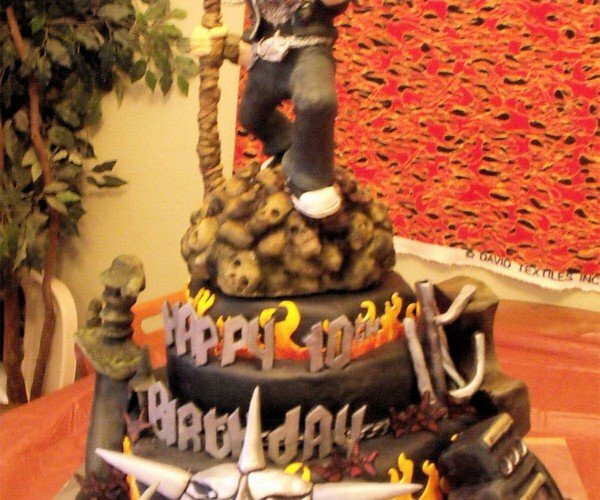 Just don’t eat the dowels inside she used for support, and the wires on the guitar won’t taste very good either. 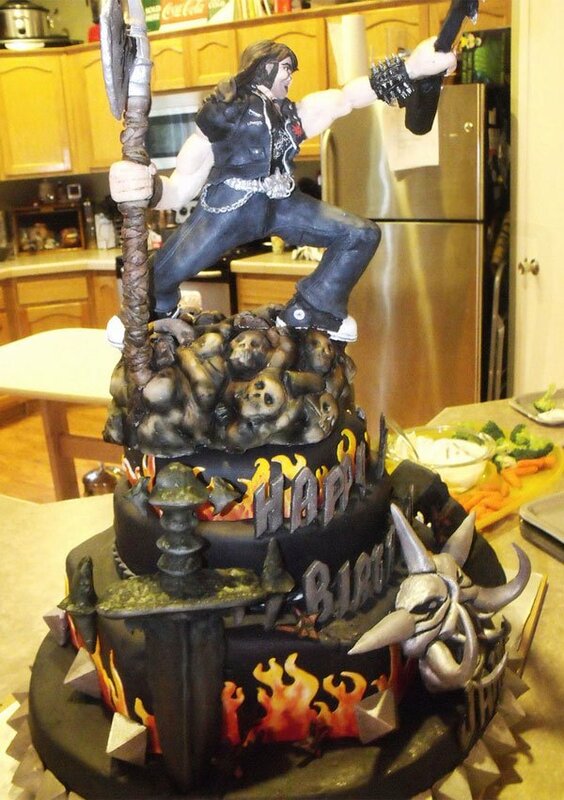 Barbarann, I don’t care what they say, you’re a cake pro in my book.